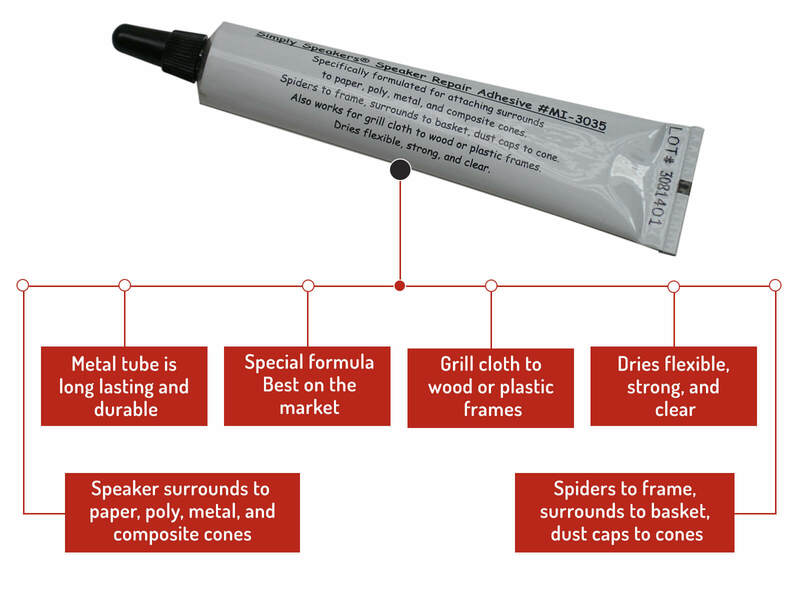 Product was just as described and great quality. Re-foamed a pair of vintage Norman Labs speakers and they were brought back to life! Also the instructional video online was very helpful. Thanks! 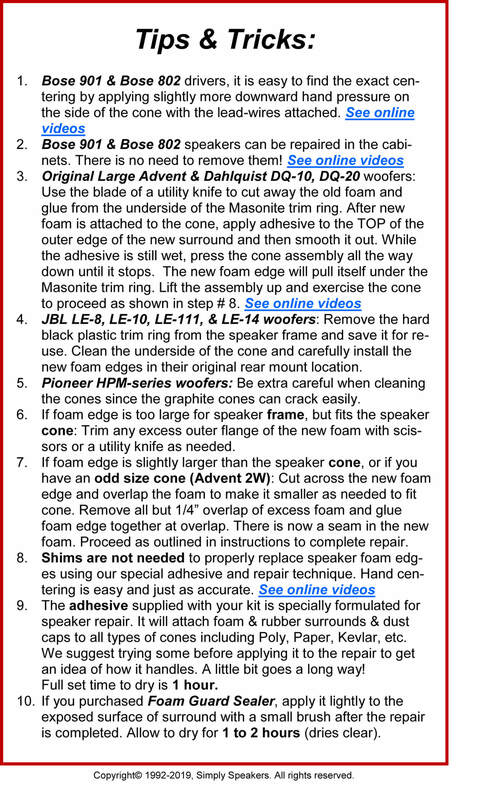 Very happy with speaker foam repair kit, used on my 39yr old Koss CM-1010 10" passive radiator cones. The old foam had disintegrated to powder. Fairly easy to install. As the title says, every aspect of my experience was great. I wasn't 100% sure of which foam kit I needed - made a phone call and customer service confirmed. Within 10 minutes of placing my order I received email confirmation and tracking info. The box even showed up a day early! The instructions were clear and the process of re-foaming was very simple. Thanks so much Simply Speakers - my Ultralinear towers rock again! 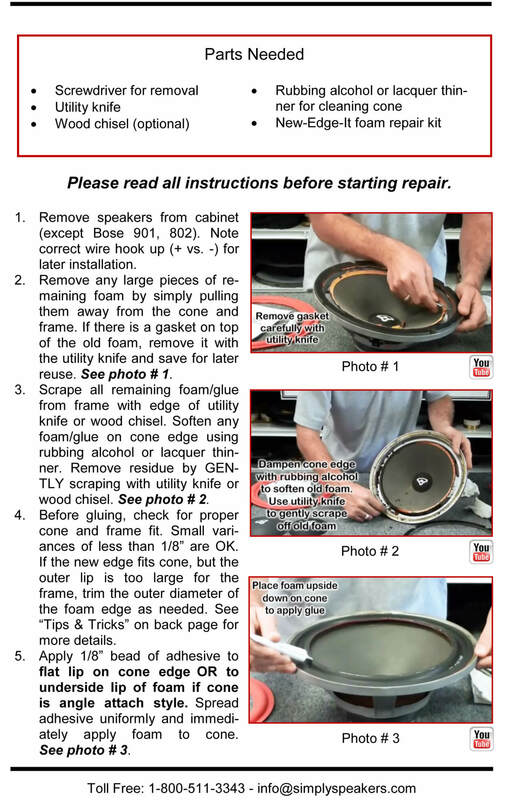 Great videos showing step-by-step on how to replace the foam around my woofer. I would highly recommend! Had two subs belonging to Paradigm LEGEND V2's that needed surrounds replaced after hearing distortion. I called company and found out they no longer have parts. Go figure, I wanted to keep them. 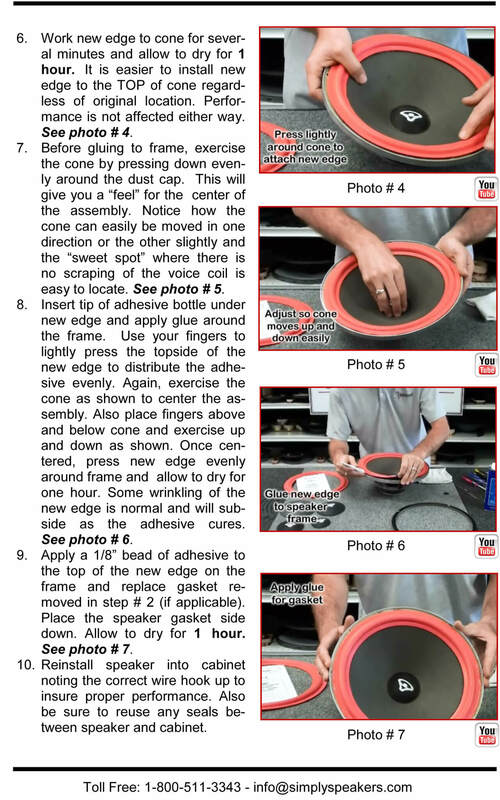 Searched on line for foam replacements, came across simplyspeakers. I then email customer service, they were a big help for me. They just needed the measurements of the cone, after that it was all good. Kit included detailed instructions, new surround seems adequate. Overall, I was able to keep my speakers rocking!!!! 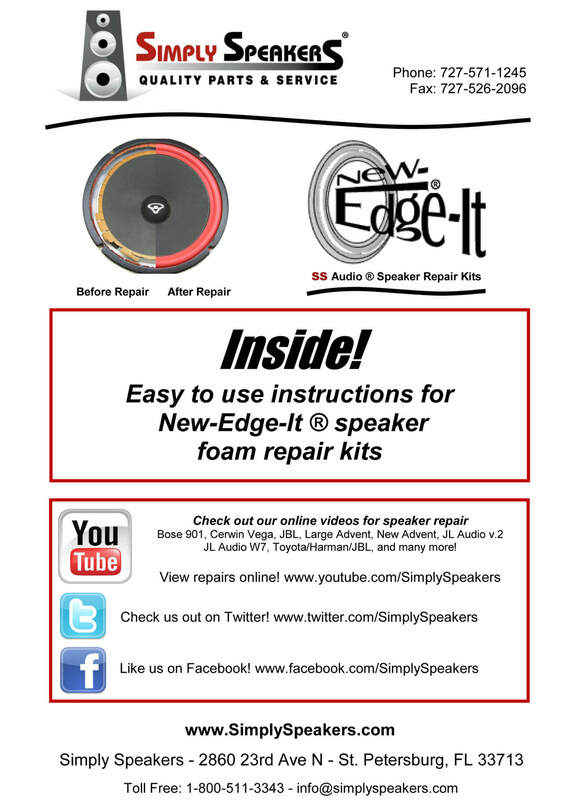 Great product along with the how to video made first time installation a breeze also the fastest shipping I've ever had, Product worked great and the old "Clark Systems Premier" speakers sound new again. 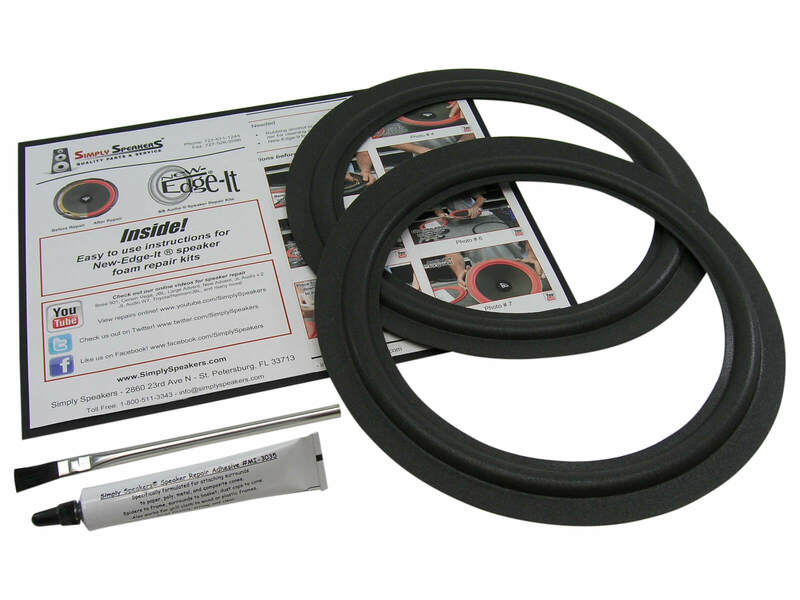 I would highly recommend "Simply Speakers"
I used these to repair the woofers of a pair of woofers in Heathkit AS-1373 loudspeakers. The FSK-10F kit fit perfectly. The speakers now sound as good as new (very good indeed)! 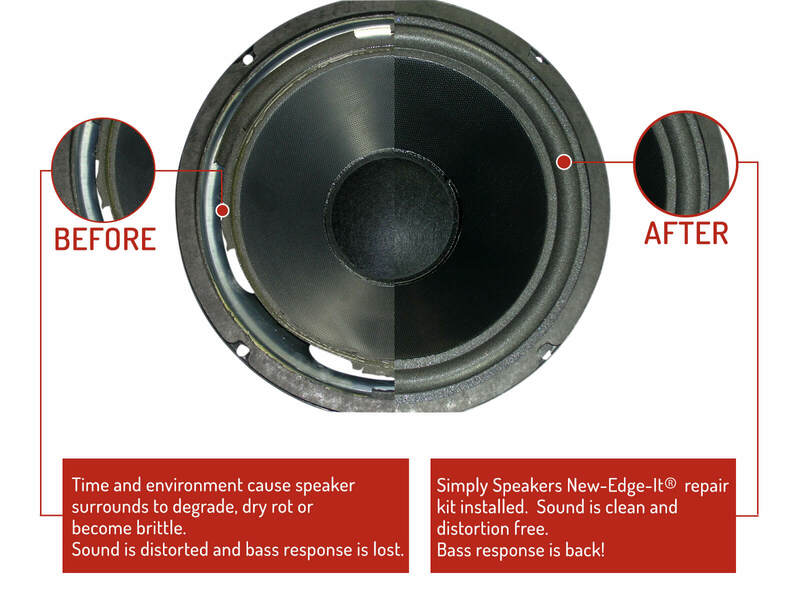 Customer service at Simply Speakers was also quick, proactive, and precise in providing me with customer support to identify the correct kit for these loudspeakers. 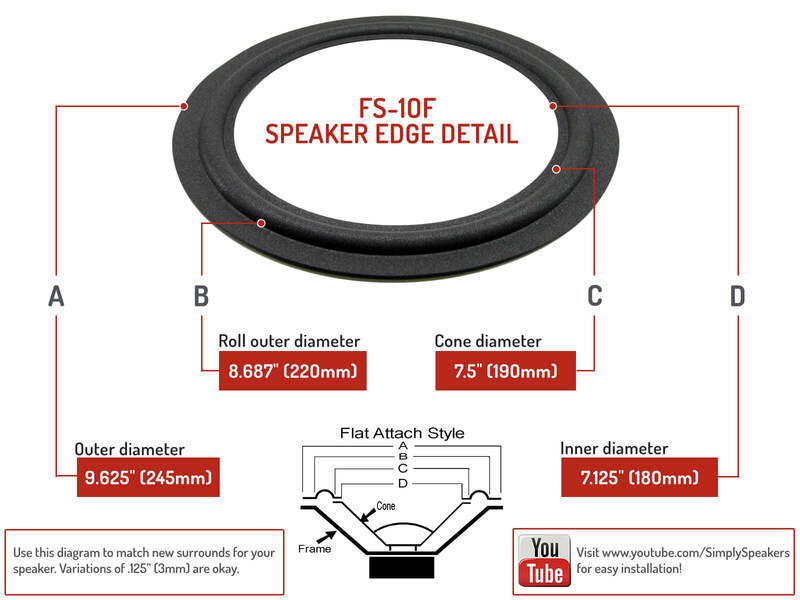 Even if I could save money by dealing elsewhere, I'll return to Simply Speakers if I need future parts like this. They fit very well on my 25 year old Goodmans speakers. The sound is as they are new. Thank you Simply Speakers! I highly recommend your service to my friends, coworkers and so on. Very satisfied. Q: what is the difference between the FSK-10A and FSK-10F? A: The FSK-10A is for an angle attachment to the cone and the FSK-10F is for a flat attachment to the cone. See our website for details on the differences if needed. Thanks!